History will tell us that we are getting closer to the launch of a new iPhone model as we begin to see numerous parts leak and sometimes a working model left in a bar. Speculation has been mounting recently about what we can expect to see this year and it seems that there is a hint of the iPhone 5S hitting mass production ahead of a release from a photo. The image that you can see on this page is allegedly showing the iPhone 5S display assemblies that seem to be on a production line. Images of the component recently surfaced and while the picture isn’t perfect you can still make out the redesigned flex cable connectors. On the current model of the iPhone 5 the two connectors are both fixed horizontally but on this component one of them is placed vertically. This hints that mass production of the iPhone 5S display assemblies has already begun and may mean the handset could be launched earlier than expected. Last month there were rumours that Sharp had begun production of displays for the handset with this set to hit full speed this month, and if the device is coming to the public in September Apple may be looking to release the iPhone 5S in more markets straight away. There has been talk that the next version of the iPhone could feature a finger print scanner placed into the bezel, and this news also follows more images of an early prototype of the handset that included a bigger battery and dual flash camera. It is also believed that the iPhone 5S will launch alongside the iPad mini 2 and bring with it the new iOS 7 operating system. 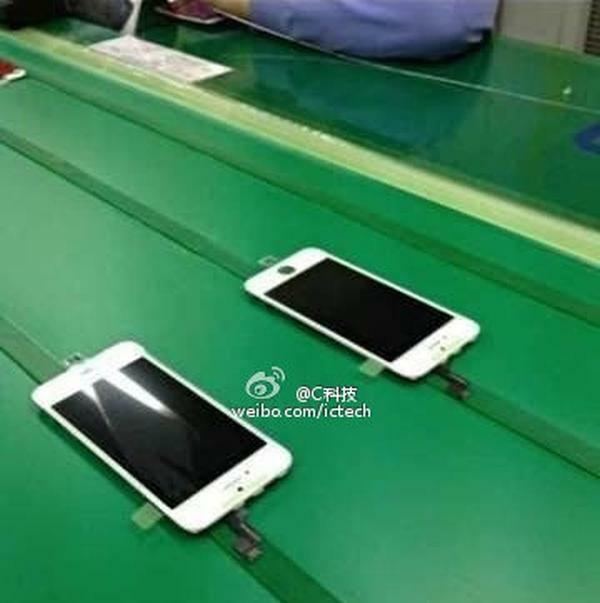 Do you think this image shows that production is underway for the iPhone 5S?